We offer a variety of training program options to suit your needs. Not sure what's right for your dog? Schedule a free training consultation today. 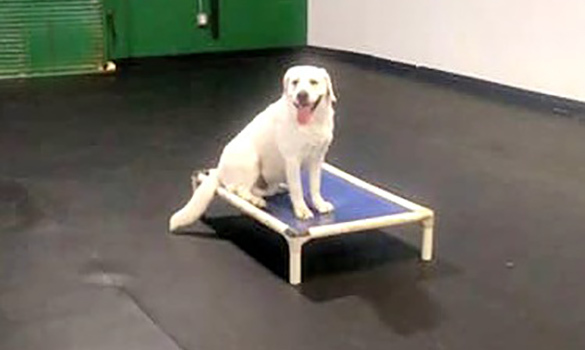 Our Lodge and Train program is great for owners who are short on time or are going on vacation and want their dog trained by our experienced trainers during their stay. 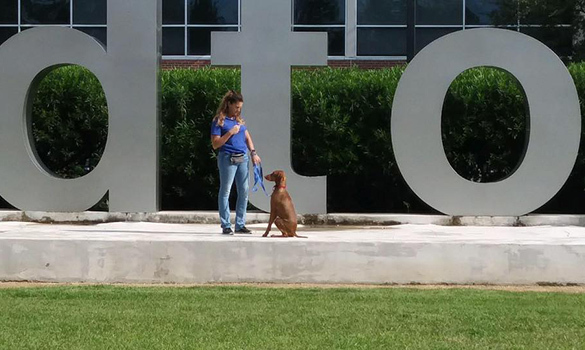 The Lodge and Train program focuses on teaching the basic commands and manners every well-behaved dog should know, such as sitting for petting and loose leash walking, even with distractions. 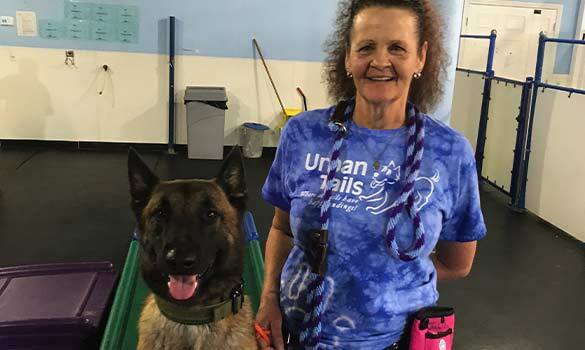 In addition, one of our trainers will work with you on developing a customized training plan for your dog that will meet your own personal training goals. For those owners who prefer to snuggle with their dogs at home at the end of the day, we offer the Play and Train program. Similar to our Lodge and Train program, but instead of leaving your dog overnight with us, you will pick them up at the end of the day. Owners receive training reports and handouts at the end of each day so they can keep track of their dog's progress. We offer group classes through Karma Dog Training on Sunday afternoons. KarmaDog Training Houston offers comprehensive and affordable dog training programs for puppies through adults, and works with all breeds from Chihuahuas to Pitbulls. In our Houston puppy training classes, we cover the entire puppy training essentials from potty training to walking nicely on a leash. We also go over all the puppy basics such as puppy chewing, puppy nipping, puppy jumping, puppy barking, and of course puppy potty training and puppy housetraining. In addition, our Houston puppy kindergarten and puppy socialization classes cover all aspects of basic dog obedience with Karma Dog Training's, "7 Requests for Success" and the "7 Steps to Become your Dog's AlphaAngel." Puppy Training at Urban Tails - Houston's Premier Puppy Professionals! Did you know the optimal time to start training and socializing your puppy is at 10-12 weeks of age? Starting your puppy's training and socialization off correctly in the beginning will shape what type of dog they grow up to be AND help avoid unwanted behavior later on, like separation anxiety, fearfulness, and aggression. Our Puppy Potty Programs have proven quite popular and are hugely successful. These programs partner the expertise of our Puppy Potty Trainers with you, the parent, to give your puppy good potty manners at home. We help you set goals and design the optimum program based on your unique needs. Simply drop your puppy off for the day and our puppy training experts will handle the potty training, crate training, and playtime! At night, you'll be given a helpful potty protocol to follow to make your puppy successful. This program combines our popular Potty Training program with important early puppy training and socialization. During your puppies daily stay with us, our training experts will focus on not only potty and crate training, but also crucial socialization with people and other dogs. Plus, basic puppy manners and simple obedience commands. Our Potty, Lodge & Train program is the total puppy starter program. Like our Potty & Train program, your puppy will spend his or her day here at Urban Tails getting consistent potty training, crate training, and learning basic obedience and manners. At night, your puppy will go home with one of our "Puppy Coaches" so they will receive overnight potty training, supervision, and plenty of snuggles.